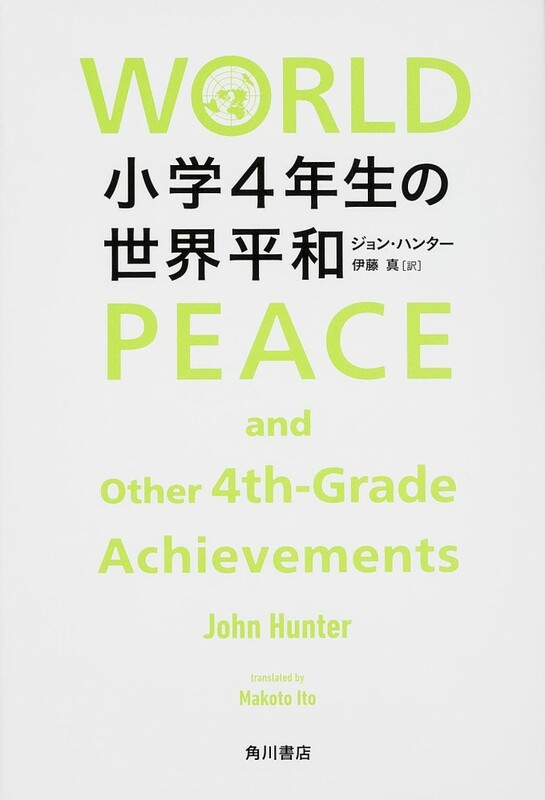 The book, World Peace and Other 4th Grade Achievements is now available in Japanese translation. The book, game, and master classes have been gaining interest and demand globally, as evidenced by the publication of the Japanese version. Reading World Peace and Other 4th Grade Achievements evokes deeper insights into John’s TEDTalk. Educators in Japan who read the book in combination with viewing the televised TEDTalk may be inspired by the The World Peace Game’s message. Hopefully, Japanese teachers would apply the game’s objectives in the classrooms, a curriculum which teaches children strategies to seek conflict resolution through creative and independent thinking. John’s TedTalk will be released for Japan’s web viewers of the NHK public television show, Super Presentation! The webcast will be aired at 10:00pm – 10:25pm on Wednesday, November 19, in Japan. It airs at 8am – 8:25am EST on the same day. NHK is Japan’s only public broadcaster, funded by fees received from TV viewers. It offers a diverse and intellectually stimulating array of programs, both at home and abroad.